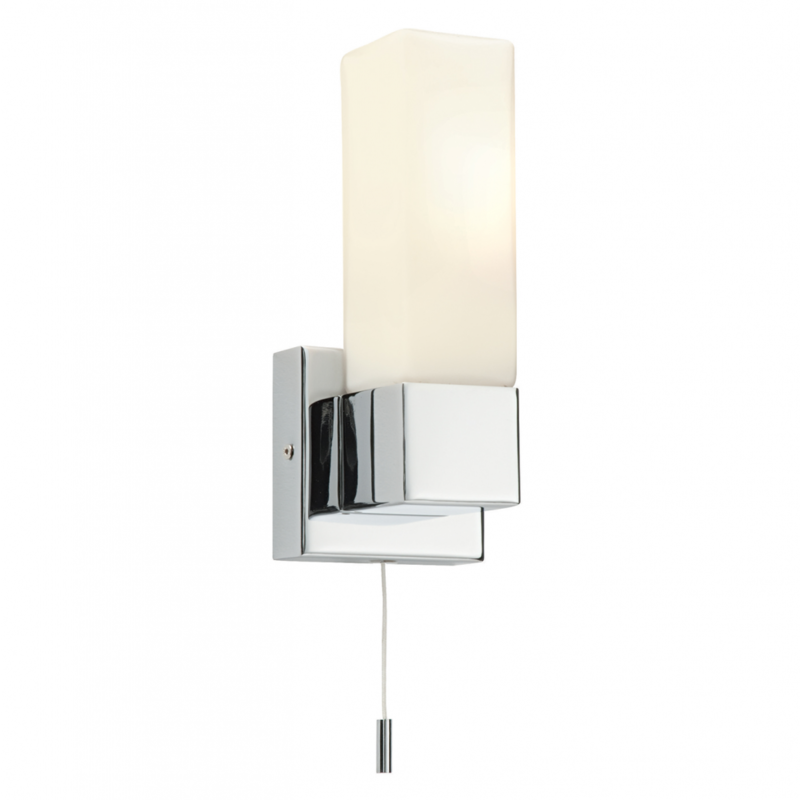 Intense straight lines and boxy design, combined with the chrome and opal glass finish make this 4-single wall light the perfect choice for achieving a minimalist contemporary feel. Matching items available. 7.5cm projection x 19.5cm height x 8cm width.